I am trying to create a plot similar to this one but that only shows the two barplots for the value 1 instead of both 0 and 1 barplots. 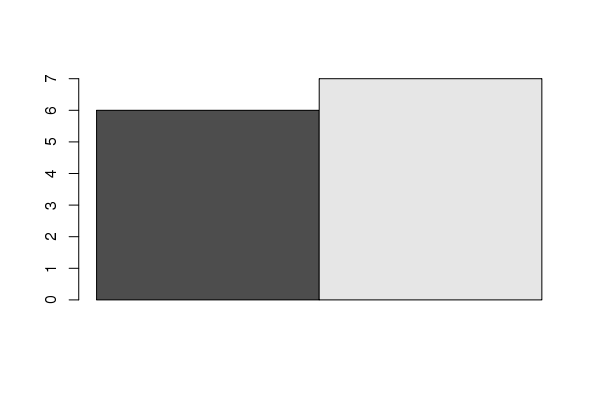 Is there any way to achieve this in R? Any suggestions or tips would be greatly appreciated! 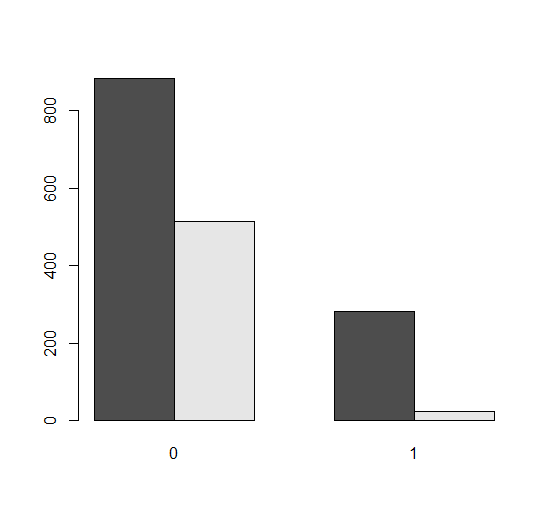 You can subset counts before sending to barplot. Note I've used as.matrix because it would drop to a vector without and that is what controls the standard palette.